On Sunday, Nov.17, Chileans voted for president, both houses of Congress and some local offices. To nobody’s surprise, the left “New Majority” coalition and the Socialist and Communist parties made significant advances. With 46.67 percent of the vote, the New Majority presidential candidate, Michelle Bachelet, of the Socialist Party, will have a runoff against right wing candidate Evelyn Matthei, who got 25.01 percent of the vote, on December 15. The electoral result is a clear repudiation of the right wing policies of outgoing president Sebastian Piñera, a close U.S. ally. This was the first time in recent years that Chilean citizens were not required by law to vote (although now all eligible voters are automatically registered), which may be why turnout was relatively low, at 49.3 percent of the approximately 13 million registered. Socialist Michelle Bachelet was president from 2006 to 2010, elected then as the candidate of the Concertacion, a left-center coalition formed after the end of the dictatorship of General Augusto Pinochet Ugarte. This time Bachelet ran as the candidate of the New Majority coalition, which, for the first time, included the Chilean Communist Party (CPC). Bachelet is the daughter of a Chilean Air Force general who had refused to support the Sept. 11 1973 military coup d’état that overthrew the socialist government of President Salvador Allende Gossens. The dictatorship killed at least 3,000 supporters of democracy, including Bachelet’s father, and tortured and exiled tens of thousands more, including Michelle Bachelet and her mother. The candidate of the right wing Alliance for Chile coalition was Evelyn Matthei, also the daughter of a general, but one who supported the Pinochet coup. Mrs. Matthei herself also had made statements in favor of the Pinochet dictatorship, albeit some years ago. She was saddled with Chileans” bitter memories of the dictatorship, and also with the history of Piñera’s administration that had been confronted by mass demonstrations on a number of issues, including labor rights, an archaic privatized educational system, mistreatment of the Mapuche indigenous people, and environmental worries. The seven other presidential candidates, whose voting support Bachelet must now pick up to win the runoff, are mostly left and left-center figures. They include Marco Enriquez-Ominami, of the PRO/If You Want it, Chile Changes party, who got 10.98 percent; independent candidate Franco Parisi, who got 10.11 percent, and five others. This makes it highly likely that Bachelet will win the runoff; she can tap into these votes whereas Matthei does not have a big extra fund of right wing votes at her disposal. In the Congress, the left also advanced to a 55.3 percent majority in the Senate and 56.6 percent in the Chamber of Deputies (the lower house). To pass her promised educational reform, Bachelet will need to pick up votes from some independents, but this is seen as feasible. 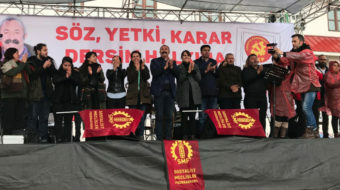 It will be harder to pass constitutional reform and some other measures because of required supermajorities, but many on the left are calling for a grassroots Constituent Assembly to push this objective. 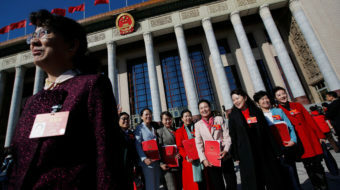 The Communist Party, which held 3 seats in the outgoing lower house, has evidently doubled its representation with the election of six deputies. One of the newly elected deputies is Camila Vallejo, the former student leader and head of the Young Communist Chile, who played a major leadership role in the street protests demanding educational reform. Another Communist elected on Sunday is Vallejo’s successor as head of the Chilean Communist youth, Karol Cariola. 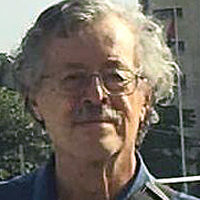 The president of the Communist Party, Guillermo Tellier, also won a seat. Communist support for Bachelet was given on the basis of her agreement to work harder for educational and labor law reform. The election of Bachelet with a cooperative legislature and a left-center program will not bring about socialism, but will nevertheless have profound implications not only for the Chilean working class, but for Western Hemisphere politics and beyond. Under Piñera, Chile became involved in two groupings of nations seen by the leaders of the “Bolivarian” countries in South and Central America as dangerous to their progressive political project. The Pacific Alliance groups Chile, Peru, Colombia, Costa Rica and Mexico in a free trade agreement which is in turn linked to similar arrangements with the United States. This is seen by the left-wing governments of countries such as Bolivia, Ecuador and Venezuela as an attempt to revive the U.S. dominated FTAA (Free Trade Area of the Americas). The Transpacific Partnership (TPP) is a monster free trade pact being negotiated among a dozen nations on both sides of the Pacific Ocean. China is excluded as part of the U.S. governments “Asian Pivot” which seeks to limit Chinese influence in trade and diplomacy. The countries of the “Bolivarian” Alliance and their allies have a reason to worry that they will either be pressured to join in the TPP or find themselves excluded from important trade avenues. Both of these arrangements will force participating nations to accept the neo-liberal program of so-called free trade, deregulation in favor of corporate interests, privatization and austerity, precisely the things Bachelet campaigned against. 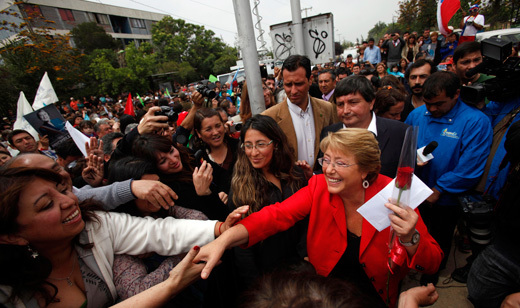 As president, Bachelet will be under pressure from her social base to distance Chile from these developments. Correction: An earlier posting gave the Chilean president’s name as Rafael Piñera. The correct name is Sebastian Piñera.